Due to his position he was fully informed about all joint government scientific programmes and was often asked to advise on technical and intelligence matters relating to them. He agreed to comment on some American activities in Australia providing he was not identified by subsequent use of the information. The man has an amazing background involving an association with some of the greatest scientific discoveries of the twentieth century, In his old age he feels that people should be made a little more aware of what is going on around them. There are at least ten top secret American facilities in Australia with the so- called 'Joint defence Space Research Facility' at Pine Gap outside Alice Springs being classified as the most important. At the time the agreement to establish Pine Gap was signed by the Australian government it's purpose was to control and act as a downlink for geosynchronous satellites stationed over the Pacific and Asia. The American agencies involved with this intelligence gathering are the CIA, NSA and the NRO. However there were other reasons for establishing the base which have never been fully revealed to the Australian government. The agreement clearly stated that it was not a requirement for the U.S.A. to share all information with Australia. In fact when the Whitlam government came to power in 1972 what little information that was being shared with the Australian Defence Signals Directorate (DSD) was reduced to a trickle and at one time, prior to 1975, stopped altogether. The main reasons for Pine Gap being situated where it is are proximity to the Pacific and Indian Oceans and Asia, it's Southern hemispheric window to outer space, it's position on the earth's surface in relation to other important areas situated on the planet, it's isolation and the fact it is situated in an area of low electromagnetic radiation. Construction of the base was undertaken by American contractors who flew in their own workforce from the U.S.A. on a shift basis. No Australians were involved in the construction work which took around two years before the base became operational. In a deep shielded underground chamber a nuclear reactor similar in size to those used to power submarines was installed to drive large AC and DC generators. This fact has been kept secret as it was quite illegal for such equipment to be operated without an act of parliament changing the existing laws relating to the installation of nuclear power stations in Australia. But when it's all secret in the first place who needs to get permission? The Pine Gap base also has an above ground diesel powered generating station which, it is claimed, is the only power station there. If that is so why is it shut down most of the time? If you need an electromagnetic free area you don't build a power station in the middle of it. Of course it can be used when the base was not operating but then what keeps everything running when it is turned off-- batteries? Pine Gap is not connected to an outside electricity supply. Reportedly, extending some twenty thousand feet below the base is a bore hole containing an ultra low frequency antenna which is apparently used for secret experiments supposedly related to Nikola Tesla's resonance theories as well as low frequency communications throughout the world. 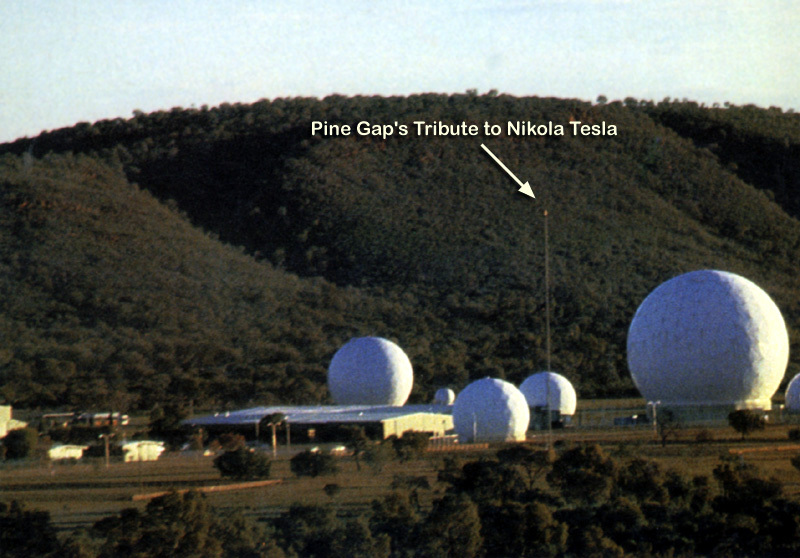 Pine Gap's communication systems are the most sophisticated available utilising satellites, microwave, low frequency and their own dedicated cable to the U S.A. Also they are directly connected to Nurrunga, North West Cape, Geraldton, Australian Defence Signals Directorate in Melbourne, Canberra, Sydney, all CIA and NSA stations, ASIO, SIS and perhaps one of the most interesting secret departments of all, the Australian Defence Science and Technology Organisation which deals with U.F.O. 's and crash retrievals. 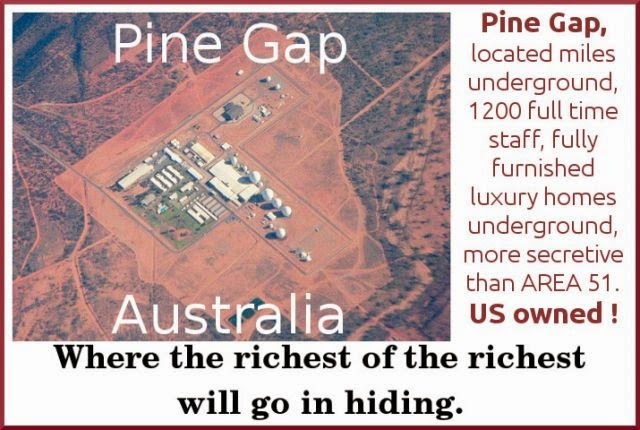 The number of staff at Pine Gap varies between four hundred to five hundred at any one time and all except a liaison officer and his small staff are Americans. Although Alice Springs is only fourteen miles from the front gate few of the Pine Gap's occupants ever visit there. They stay in their self contained theme park enjoying all the luxuries of home. So stringent is the security that even personal shopping is undertaken in the U.S.A. and everything ordered on a weekly basis, including the groceries, is delivered on the Thursday C5 flight from California (there are usually three or four per week). Pine Gap is a multi billion dollar operation of great importance to the American government. It is said that to be selected for a tour of duty there is like being elevated to the priesthood, a comment which may not be as silly as it sounds. The vast empty territory of central and South Australia has always been an area of high U.F.O. activity. 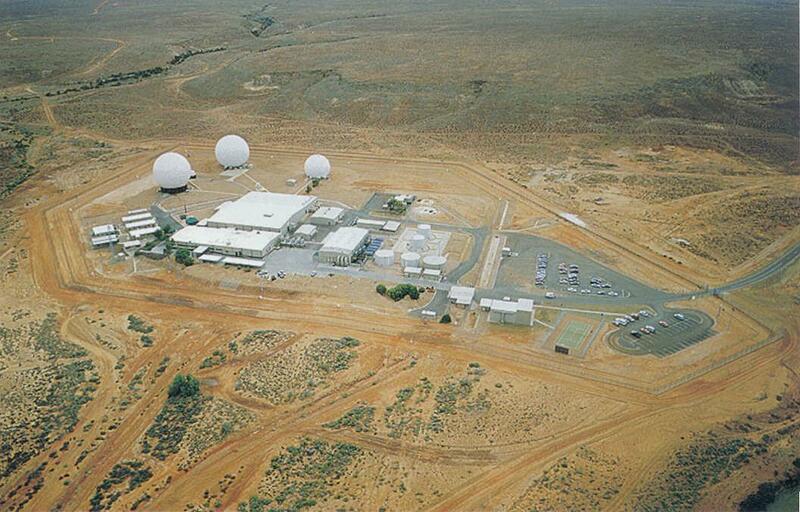 Pine Gap can be observed from the distant surrounding hills which overlook the entire secure base area. All that can be seen are eight white radomes placed in close proximity to groups of long low buildings. A few miles from the base a double security fence winds its way around through the grass and light scrub and cuts its way through the lower levels of the nearby hills. The fence is patrolled continuously by American guards and members of the Australian Federal Police Force. The American guards live at the base and the Federal Police at Alice Springs. One case which received some limited publicity in 1989 involved three hunters who were on an all night shooting trip in the hills near Pine Gap. At around 4.30a.m. they observed a large camouflaged door open on the side of a low hill inside the security compound and a metallic, circular disc appear from the gaping black hole, tip on it's edge and disappear vertically at tremendous speed. The door then slowly shut and everything returned to normal. The camouflage was so good that from their vantage point they were unable to observe anything unusual about the area after the door closed. There are several other incidents of a similar nature which were reported by visitors to the area and in one case in 1975 the occupants of a passenger plane which was passing some eighteen miles to the east of the base observed a large white object, similar in size to one of the white radomes, suddenly leap into the air and disappear rapidly towards the north west. As everyone on the plane was interested in seeing what Pine Gap looked like, most of the passengers and crew witnessed the event. When the pilots reported the incident, everyone on the plane was interviewed and told not to talk about it. A camouflaged door case occurred in 1980 when two members of the Northern Territory Police, who were taking part in a search for a missing Alice Springs child, watched as three 'bath tub' shaped objects flew slowly over the base and then one by one disappeared in to an oblong black hole in a hillside. This also occurred during the early hours of the morning and as the two police officers had arranged to meet other members of the search party they left without seeing the door close. Another type of sighting involves, blue, red and gold pencil- like beams. In 1973 a government cartographer was camped in an area near Pine Gap. Some time after midnight he saw a vertical shaft of very bright blue light emanating from the area of the base. He decided to take a closer look. He drove his four wheel drive to the top of a low hill from which the Pine Gap base could be seen some eight miles to the east. There was a full moon so the white radomes could be seen quite clearly with the naked eye. Taking a closer look through his twelve power binoculars he could see most of the base as well as a strange looking object apparently hovering above it at a height he estimated to be around one thousand feet. Firstly he thought it was a cigar shaped balloon or blimp but this idea quickly evaporated when the object slowly tipped to a 45* angle exposing what appeared to be its top surface to the now somewhat surprised observer. It was clear that the object was perfectly circular with a central dome. As the bottom edge was still about one thousand feet above the base, the cartographer estimated the diameter of the disc to be a little more than half the distance between the Pine Gap base and the disc's bottom edge, making it between five and six hundred feet in diameter. In the moonlight the disc appeared to be a dull grey colour with a slight yellow fuzz around its edge. As he watched, a thin bright blue beam, like a rod, slowly extended from the disc to the base. The strange thing about it was that unlike a flash light it did not just turn on, it slowly moved in a telescopic fashion from the disc and gradually extended behind the radomes. A few minutes later the light beam retracted only to be followed by a similar blue beam slowly extending from the base to the disc. This was followed by a gold coloured beam which appeared very close to the blue one. After about thirty seconds both retracted back into the base. This process continued for about forty minutes and ended when the disc made some rapid oscillations 'lit up like a neon sign' and ascended vertically at very high speed, disappearing in a few seconds. A more complex sighting involved five witnesses in 1984. The leader of this group was a technical expert with a Western Australian government department who had received persistent reports from colleagues of intensive U.F.O. activity around Alice Springs and Pine Gap. He was told that between certain dates something big was going to happen. The information was so intriguing that he decided to mount a clandestine expedition to Central Australia and to approach Pine Gap from the west through the Gibson Desert and MacDonnell Ranges. They used two specially prepared four wheel drives and once in the area of the MacDonnell Ranges traveled only at night in an effort to reduce the chances of detection. After reaching the Pine Gap area they concealed the vehicles and positioned themselves in an elevated area which overlooked the base at a distance of about ten miles. As they had several small size astronomical telescopes with them they had no difficulty in gaining a good view of most of the base area. For the first two days and nights very little happened. Apart from the occasional movement of small vehicles and a few people everything was quiet. The group was becoming a little impatient but decided to sit it out for at least a week in the hope they would see something interesting. During the evening of the fourth day they noticed some unusual activity developing in the main base area. A number of vehicles were moving around the base and what appeared to be groups of people dressed in coveralls were gathering at various points near the radomes. Suddenly a bright beam of gold coloured light sprang up from the centre of the radome area. This was not a pencil- like beam but seemed to be several meters in width and extremely intense. The width of the beam appeared to remain the same as far as it could be seen extending vertically into the sky. When observed through the telescope it looked almost solid. As they watched, long uneven clouds developed in the clear air surrounding the beam which despite a breeze blowing at the time remained stationary. The beam suddenly cut off and the tubular cloud started to drift to the east like a vertical vapour trail. The beam pulsed several times and each time it did so the cloud effect returned even forming what looked like a series of smoke rings. No one in the group could explain why but they all felt extremely disturbed by what they had just seen even to the point of nausea. But the show had only just started. The gold light beam shot down and once again the dirty looking clouds started drifting away. It was at that point that the group noticed five star like objects approaching from the South. As they drew closer four of the objects were seen to be in a tight diamond shaped formation and the fifth which looked like a cylinder was following at a distance of about two miles. The objects slowed as they reached the base area the four smaller objects took up positions north, south, east and west of the base each moving in small circles. The cylindrical shaped object which appeared white in colour with a bright while halo around its center moved towards the base reducing altitude to about five hundred feet in the process. It then stopped, rocking up and down like a boat at its moorings. Once in position blue light beams started flashing between all five objects and the ground. The whole scene was more than bizarre as it appeared that extraterrestrial craft were in direct communication with the human occupants of the base below them. It should be mentioned that the whole episode was recorded on video tape and thirty five millimeter still film. However as this was virtually a case of a government department spying on a foreign friend nothing has been released and it almost certainly never will. This scene continued for about five minutes then one of the small objects rapidly descended towards the base and appeared to land at its northern end It remained there for seventeen minutes then returned to its original position east of the base and approximately one thousand feet from the ground. The gold light beam again emanated from the area of the radomes. This time the small objects began to rotate around the beam and ascend vertically as if they were examining it. The cylindrical object remained in its position bobbing up and down as before. The four objects then returned spiraling down the beam and returning to their previous positions. The cloud was thickening around the light beam and looked like a long thin Ionic column. The beam was turned off and once again the greyish cloud broke up and drifted towards the east. In a jerking motion the cylindrical object started to gain altitude stopping in proximity to the smaller objects which had reformed their diamond shaped formation. The group then moved off in a southerly direction and disappeared in a few seconds. The witnesses were shocked by what they had seen as it seemed obvious there was human co-operation with extraterrestrials. It also seemed strange to them that despite the strict security applied at the Pine Gap base they were able to get reasonably close to it without interference. Perhaps no one would believe them anyway and declare their photographic evidence a hoax, however that did not seem logical as good security is maintained when there is no evidence at all and when no explanations or a programme of ridicule is necessary. Yet all this was happening in front of them and only about fifteen miles from the large town of Alice Springs. Perhaps what they had seen was a vital experiment and such open exposure was unavoidable from time to time. The group spent the next few days observing the base day and night and apart from helicopters and other small aircraft they observed at least seven other U.F.O. 's in the area. One of the witnesses later described the experience as making his skin crawl every time he thought about it. After leaving the area they took a circuitous route around the base and then drove down the main highway to Alice Springs. As it looked like they had traveled from Darwin no-one took any notice of them. After arranging the rail transport of the two four wheel drives back to Perth they left by plane the next day. They all agreed that the incident had changed their view of all things in general but had in some way disgusted them as they now knew their government had lied to them from the start and had done so in co-operation with a friend and ally. Does all this mean that there has been a working co- operation between extraterrestrials and earth bound governments for a long period of time? The answer is a simple yes. Although U.F.O.s had been observed on a regular basis during and after the Second World War they did not become a problem with the potential of serious social consequences until 1947. The burst of publicised sightings which followed Kenneth Arnold's original encounter in the north western United States caused great official concern. It was obvious from the outset that what was being observed was vastly superior to anything manufactured on earth and it was only logical to assume that the operators of such machinery were likely to be of a very high order of intelligence and almost certainly from outer space. So much evidence, including recovered equipment, was accumulated that there was no way of denying the importance of these events and the dangers they represented. The earth was being openly visited and closely observed and what was officialdom going to do about it? Firstly it had to be covered up so the public would be 'protected. Secondly it would be important for our government leadership to make contact with the visitors and try to come to terms with them before total exposure occurred which could only result in the collapse of civilised social order. Thirdly, as what was being observed represented an advanced science of very high order, technical advantages could be achieved if contact was made. It is not clear exactly when contact was first achieved by the U.S.A. but information from various sources indicates radio communication followed by direct face to face contact occurred in the early 1950's. The Soviet Union and the United Kingdom were also attempting to do the same and established their own contacts about the same time. After some understanding was reached the initial methods of communication were centralised in the U.S.A. with the Russians co- operating by the mid 1950s. The importance of the situation led to the secret establishment of the National Security Agency by the Truman administration in November, 1954. The initial task of the NSA was to establish and develop reliable and secure communications with extraterrestrials who were visiting earth and find out as much as possible about them. There are strong indications that to this day the NSA is deeply involved with the U.F.O.s and their primary activity is to identify and monitor alien communications and to suppress any information that may confirm their reality to the public. This policy has been rigidly maintained and is perhaps more useful to the aliens themselves than it is to the human race. The aliens are pursuing their own agendas and they do not want unnecessary interference from earth's officialdom or the broad masses they control. Alien involvement in Australia is similar to that of the U.S.A., Europe and Russia. For some technological rewards and minor co-operation in other areas the E.T. 's conduct their own genetic experimentation and the exploitation of the country is generally totally unhindered by humans. They have a free hand to do what they want as there is no way of stopping them. U.F.O. involvement in Australian affairs started in the late 1940s just as it did in the U.S.A. It became a major concern during the 1950s and early 1960s when the British were conducting nuclear testing in South Australia and test firing a variety of missiles at the Woomera Rocket Range situated in the same state. So intense was the U.F.O. activity in these test areas that nuclear explosions and rocket launches had to be suspended, often for several days, due to electromagnetic effects causing total electrical failure at the test sites. The township of Woomera itself was often blacked out for hours by the close approach of the U.F.O. 's which a source advised were filmed by rocket tracking cameras at great length. In fact during one U F.O. flap in the area more than sixteen thousand feet of film was taken of a variety of vehicles crisscrossing the area. The film was promptly sent to Washington D.C. for analysis. Almost certainly due to the technical achievements of the U.S.A. there seems little doubt that the E.T.s focused their main attention on that country. However, they did not ignore the activities of other countries and to this day continue to monitor human activities both military and civil throughout the world. As a result of internal efforts made during the early 1950s, both the U.S.A and Russia made contact with two alien species who apparently often worked together on various scientific projects and joint military matters including what we would describe as the policing of their own areas of influence. Apart from this contact which developed into a form of co- operation it became evident that as many as seven other groups were visiting the planet and did not have an association with the first two. In fact there was every indication that they were unfriendly to them and each other and often directly hostile to humans. 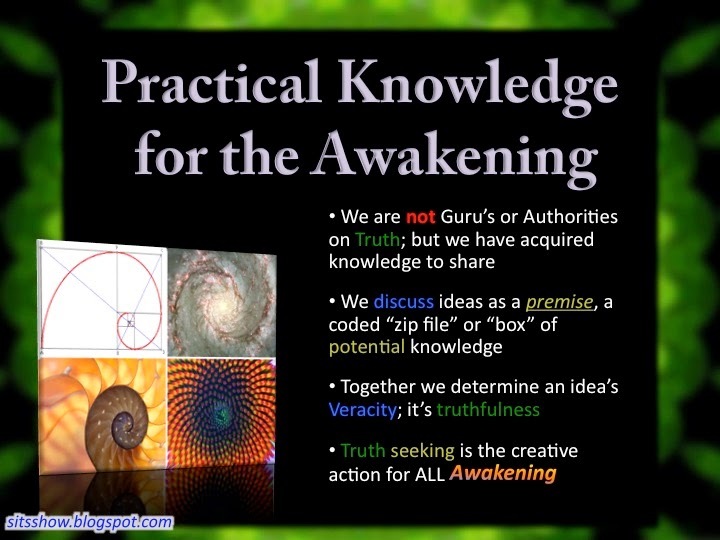 Secret official research at the time indicated that several of these groups appeared to be preparing a huge world wide military operation or police action against the earth. This made friendly co- operation with the first two groups even more important. There are indications that the technical help provided by the two initial contact groups brought about a tremendous leap forward in technology and made the development of SDI a real possibility. In return for our governments giving the groups a free hand to exploit the planet and human race, and as far as possible keep their presence a secret, they would provide the technical know how to prevent further major wars and stop any other interested extraterrestrials from invading the planet. 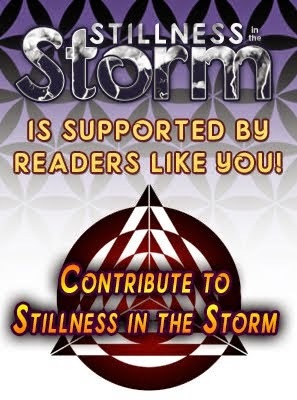 It has been said with some authority that they are the brains behind SDI, the extension of which is the HAARP (High Frequency Active Auroral Research Programme) system which is aimed at creating an electromagnetic shield around the world to prevent an attack from outer space. This development never had anything to do with the threat from Soviet Russia, in fact the Russians have actively co-operated in the development programme since its inception. From the beginning Pine Gap has been associated with secret scientific experiments into antigravity, magnetic propulsion and what the radical press of the 1960s described as Sci-Fi research. Certainly, its communication functions were important and still are but its research and development sections situated below the surface are considered vital to the future of the planet. Who or what would be at the controls, humans or something from outer space? One can only guess at the answer but it seems certain that the isolation and security of these bases situated in a distant part of the southern hemisphere is of as much importance to the aliens as it is to their human counterparts. In many ways Nurrungar is similar to the base at Pine Gap. On the surface its military role is to draw information from a series of geostationary satellites which watch for missile launches and nuclear detonations throughout Asia and the Middle East. However this represents a small percentage of its activities. Basically it acts as a backup facility to Pine Gap complete with extensive underground installations and an illegal nuclear reactor which has to be supplied with large amounts of water carried by a regular train service originating in the southern part of the state of South Australia. Like Pine Gap, it is situated in an isolated area of low electromagnetic activity and sealed off from the public view by a security zone which is part of the 'Woomera Prohibited Area'. From the time construction of Nurrungar began in 1969 the U.F.O. activity in the Woomera area increased to similar levels experienced during the height of the nuclear and missile testing of the 1950's and early 1960's. It remains one of the most active U.F.O. 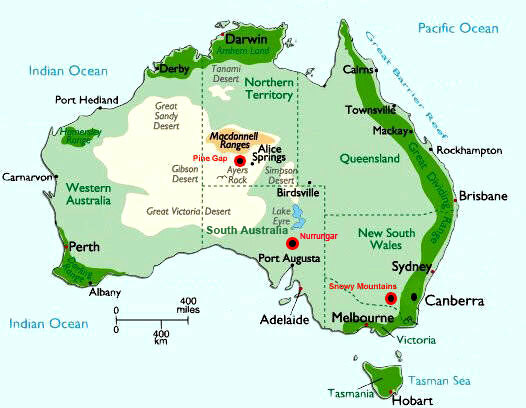 areas in Australia. One source told the writer that E.T. 's used Nurrunga just as they did at Pine Gap. They have a free hand and there was no way of controlling them. "They run the place," he said. Apart from its more obvious functions, the main purpose of Nurrungar remains -top secret. It is known that it has similar communication links as Pine Gap as well as a separate undersea cable link to the U.S.A.
Also it is rumoured that direct links are maintained with a similar installation situated in North West China and the ultra secret American base at the South Pole.